How can Garment Printing help you in 2016? With Christmas and the New Year well and truly out of the way, many companies will now begin to think about their marketing and advertising strategies for 2016. While doing this, it’s important to cover all angles as well as preparing for any events which you have coming up in the year. For example, if you’re planning on attending any events, such as Mobile World Congress this month, then you will want to begin thinking about how you can effectively market your company while you’re there. One effective strategy is to use printing services such as ours to help you effectively market your company while you’re there. One effective strategy is to use printing services, such as ours, to help you effectively market your company by giving your employees a way of wearing printing advertising which can be displayed to everyone they come into contact with. This is a fairly obvious one as we’re a printing and embroidery company but printed T-Shirts are an excellent way of advertising your company. If you’re attending any events then clothes printing is a brilliant way of getting your company name and contacts available for everyone to see. Events such as Mobile World Congress and other large events, using our printing services for promotional clothing which you can give away to potential customers is a brilliant way of getting people interested in your company and the services which you offer. They’re also a brilliant way of getting your company name and contact details remembered as they’re likely to be worn by everyone who receives one of your printed garments. With so many other fantastic printing services available you would be forgiven for thinking that business cards no longer matter, but you’d be wrong. As humans, our memories aren’t that great. How many times have you met someone, had a brilliant chat about their company and services and then when you left them, you forgot their name and company. This works both ways but you can avoid people forgetting who you are by simply handing out a business card at the beginning or end of your conversation to ensure that they don’t forget who you and your company are. A business card can save you lots of time and also makes you look professional as you’re not fumbling around looking for a pen and paper to scribble down email addresses as well as also giving you potential customers the sense that this isn’t your first time at a marketing event. It is, however, incredibly important to consider what you have printed on the cards. It largely depends on what kind of business you’re in or want to be in. It’s important to keep all business cards clean and clutter free and only display the important information regarding your company. You need your name and job title on the card, along with the name of the company and what you do. Also, include your business phone number, works email, website and, if important, the address of your business. Other things to consider are QR codes as they’re a brilliant way to direct people to a web page which is full of important information that you couldn’t include on the card. It can take up a fair amount of space, though, so consider this when you’re creating the design for your business card. Brochures form an integral part of any traditional printed marketing collateral. A well-designed brochure can be a collectible item which can be used for advertising as well a showing off your products and services. They can also help capture the attention of any potential customer, especially if it’s a small or emerging business which operates on a tight budget. Instead of advertising yourself in magazines and newspapers (which can be both costly and ineffective depending on your business), having your own brochure gives you the chance to focus entirely on your business and services and gives undivided attention to you. It’s important to always consider the content inside the brochure and ensure that it’s always kept interested and informative at all times. Use both text and images and include a call to action in the brochure. Due to the nature of a brochure, they are perfect for any environment. Whether you leave them on a desk at the entrance of your building for potential customers to pick up and read, or if you hand them out to potential customers at events, they can be brilliant ways to advertise your company and the exact products and services which you’re offering. With the world of business being hectic, everyone uses a calendar to plan their workload ad to also keep a reminder of upcoming events. Printed calendars can be excellent ways of marketing your company in the knowledge that it’s going to be kept by the recipient. By using a calendar in your marketing strategy, it gets your companies logo displayed all year long. It’s also the lowest cost per advertisement viewing of any promotional product out there. On average, people will check the calendar on their desk 10 times per day, every day of the year. They’re also incredibly useful items and, with people keeping more useful items, it’s likely that they’ll keep your calendar or pass it on to someone else who will always have your company displayed in front of them. Research has also shown that 74% of calendar recipients remember the name of the company which gave them the calendar and 72% of those could also remember the product or service which was advertised. Banners are quite possibly one of the most under-used forms of printed marketing around. It’s rare nowadays that you see printed banners but they can still have a brilliant impact when you’re used correctly and they can also lead to a massive return on your investment. Banners are extremely cost effective marketing tools and, when designed correctly, they can bring in more customers than you’d think they would. It’s always important to follow the rules when creating your own custom banner, though. It’s important to make it colourful, eye-catching, bold and, above all else, make sure that there’s a call to action included within the banner. So, here’s a list of 5 brilliant forms of printed marketing material which can help make 2016 a successful one for your company. 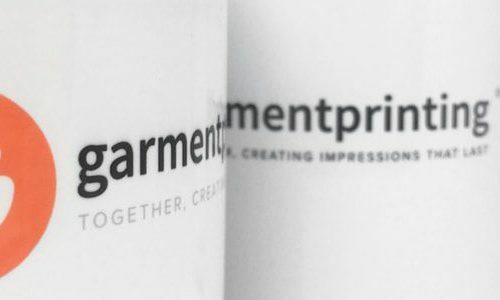 At Garment Printing, we’ve got many years worth of experience when it comes to printing T-Shirts and accessories so we know what it takes to make a successful marketing campaign. This means that we can help your company with any marketing events which you’re attending in 2016 and we can provide you with help and advice when it comes to creating your marketing campaign. So if you’re attending any events in 2016, including this February’s Mobile World Congress in Barcelona, make sure Garment Printing is the first play you go to for help and advice on your printed marketing material.